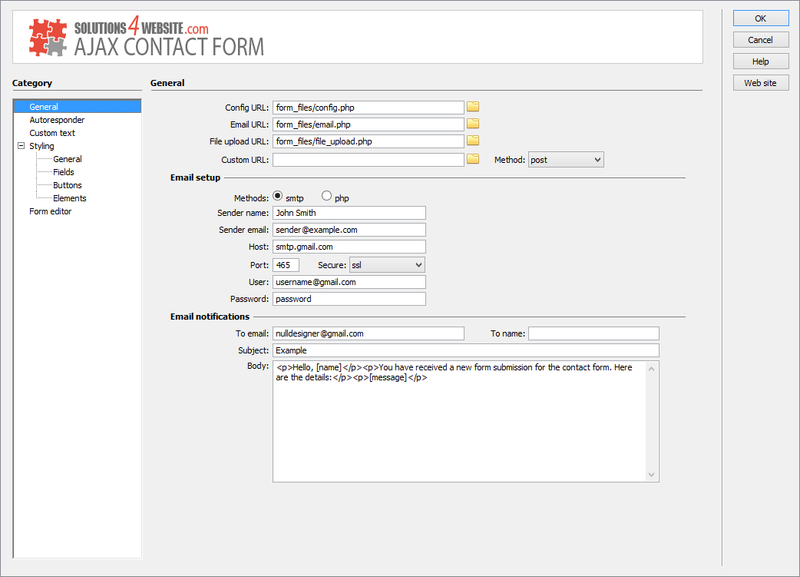 Ajax Contact Form is distributed as an Adobe Dreamweaver extension, packed as a file, named JQLightbox.mxp. Read more in the online help. Ajax Contact Form is a fully customizable contact form extension that allows you to stay in touch with your clients. As component includes a number of different fields most commonly used for the Contact forms like name, email, password, drop down lists, checkboxes and other fields so you are free to create any form you may require at your site, from very simple contact form, to complex business contact form with file uploading and date picker. The fields can be easily adjusted to whatever purpose you wish and rearranged within a few simple steps. Our contact form has several user-friendly features. AJAX is one of them, it allows your site visitors to simply click the send button and submit the form without refreshing the page. Another user-friendly feature is reCAPTCHA that protects your website from spam. Your users will be able to securely and easily verify they're human without actually having to solve a CAPTCHA. Instead, with just a single click, they'll confirm they are not a robot. Additionally form can send notification email to you and autoresponder emails to your clients that their has been submitted. 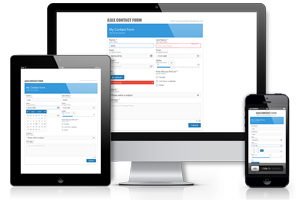 Component has responsive design so your mobile users can use forms on your website with pleasure. ur extension is great and powerful tool for both regular users and developers as it is very easy to set up but has a wide variety of customization options to create even order and booking forms. The installation package contains Dreamweaver extension, providing you the ability to easily create high-impact, jQuery-powered Forms, all in Dreamweaver CS3, CS4, CS5, CS6, CC 2014, 2015, 2017 and CC 2018. Using the user-friendly user interface, you can adjust colors, fonts, sizes, spacing and wide range of other options according to your taste. Component includes a number of different most commonly used fields: Basic input, Password input, Email input, Text area, Checkbox options, Dropdown options, Time picker, Date picker, Slider, File upload button, Custom text, Captcha, Submit button. Form has responsive design. It will split your fields into columns. ReCaptcha is used to easily verify that your site visitors are human without actually having to solve a CAPTCHA. Just a single click that they are not a robot. Form offers file upload through a simple button. You can set size limit, files limit or extension types that can be uploaded. Different fields have validation rules like "Only numbers" only "Only alphabets". Field labels can be displayed inline with fields, above or inside them. Form can send an auto-reply to users who complete the form. Form can send email notification on each successful form submission. Form uses AJAX that allows your site visitors to simply click the send button and submit the form without refreshing the page. Installation package contains Dreamweaver extension. 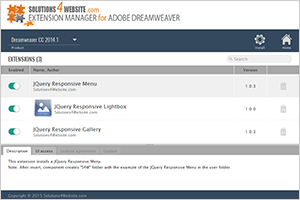 Dreamweaver extension allows you to easily create responsive Contact Formes. Extension has user friendly interface.